Forensic scientist Rhona MacLeod has been called to a body in one of the Glasgow tunnels: a young man laid out as if for burial, with a half-drunk glass of wine and half-eaten piece of bread beside him, recalling the old custom of the ‘sin-eater’... but who is the perpretator, and how has he gained his forensic knowledge? This fast-moving PP uses several voices to tell the story, mostly in the third person: Rhona herself, the investigating officer, Mike McNab, now demoted to Detective Sergeant after their last case together, Follow the Dead. Mike’s biker girlfriend Ellie is also involved; she and her friends found the body during an illegal race under the city, and Ellie is haunted by the discovery, which takes her back to the trauma of her brother’s suicide. There are suspicious characters a-plenty, including Rhona’s friendly neighbour, and the too-interested DC Fleming. Rhona herself is a character that it’s easy to identify with: precise and determined in her work, yet unable to conquer her personal life, and in the later stages of the book you’re with her in every moment of her struggle. McNab is also a character you’re drawn to; you sympathise with his current professional frustrations, and his difficulties in forming relationships, and hope that he and Ellie will work out. The description of the places in the story, particularly the sinister tunnels, is evocative, the writing is stylish, the dialogue snappy, and the pace keeps up the speed of the opening chapters with sinister short meditations by the perp pointing to a new victim, and twists to keep the reader on their toes. The forensic detail, as always, is both fascinating and meticulously accurate. Although this is book 13 in the series, and the continuing interactions between the characters is important to readers, Anderson kept us focused on the plot throughout. I did wish I’d re-read Follow the Dead before this one, as the reverberations from that case were present through the book – but not to the extent of spoiling it as an excellent stand-alone. A pacy, gripping PP from the point of view of a forensic scientist, with plenty of action and atmosphere. 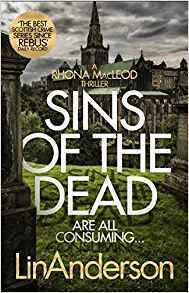 A treat for Rhona MacLeod fans, and a great introduction to her and her world for new readers. Highly recommended. Lin Anderson was born in Greenock. She attended the University of Glasgow and Edinburgh. 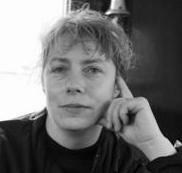 Lin is a Tartan Noir crime novelist and screenwriter. Whilst best known as the creator of forensic scientist Rhona MacLeod, Lin has a second mystery thriller series featuring private investigator Patrick de Courvoisier, set in glamorous Cannes (think The Rockford Files meets James Bond). 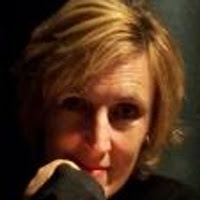 As of 2010 the Rhona MacLeod books are being developed for ITV.